Friends, I hope you have been enjoying this series. It has definitely been challenging me. I don't want you to think that just because I am writing about this topic, I've got it all figured out. That could not be farther from the truth! I am wrestling with all of this junk right now. And by right now I mean every single day. You are not alone in your struggles, friends. Each Wednesday I will be sharing a book with you that has been a comfort and encouragement to me. Do you ever read a book that is just so perfectly timed for where you're at? That's what Fiercehearted by Holley Gerth was for me. I have read a couple of her other books and been so encouraged by her kind tone and warmth. But friends, this book was unlike any of her others. There was a depth to this book that was unlike her others because it was just. so. vulnerable. 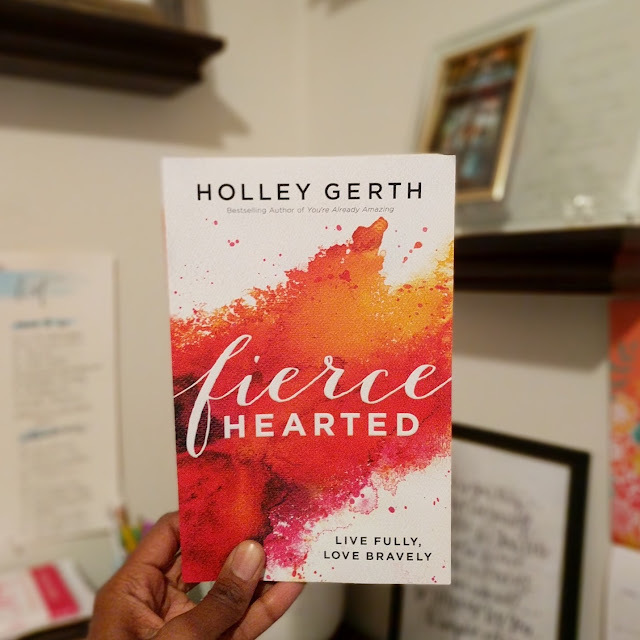 In Fiercehearted, Holley graciously shares about the ups and downs she's working through as a woman who's trying to love Jesus with her life. Friends, life is hard. But God? He's always good. Always always always. 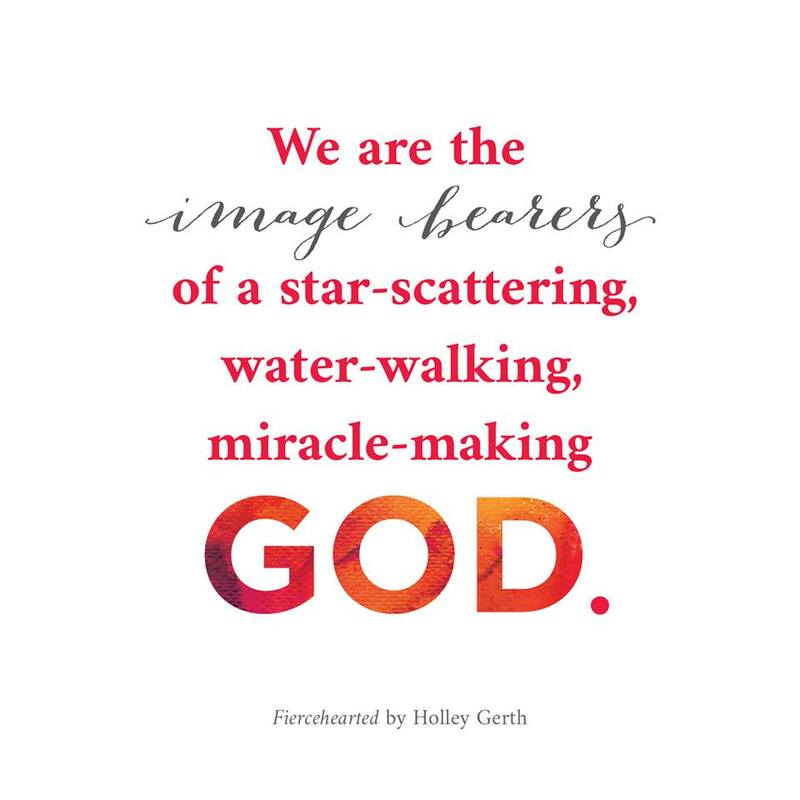 And in Fiercehearted: Live Fully, Love Bravely, Holley beautifully and gently reminds us of who God is. She points us back to His promises and helps us to know that we are not alone. She talks about the taboo topics we'd much rather avoid and prefer to sweep under the rug. And what's wonderful about it is that her heart attitude is one of humility. Her words do not reflect that of one who believes she's arrived, but rather one who is in the trenches and fighting for her life with the rest of us. Perhaps if this battle were mine alone I might just let the bully keep on shoutin'. But I don't believe this battle is only about me. It's about all my sisters. It's about all my daughters. It's about every woman in the world. Because every time one of us wins, we all do. We silence the roar of darkness a little more. We make it a bit hard for that bully to try something on one of us again...We will all have seasons when it seems easier just to take it. But that isn't our destiny. We are tree-swingers and baby-rockers and mountain-movers. We are girls. We are women. We are daughters of Eve in a fallen world. This means we will never stop being under attack. But it also means we will never- Dear Jesus, may we never- stop fighting back.